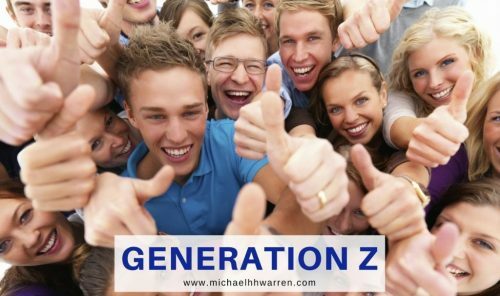 Generation Z members are those born roughly between the mid-1990s to 2010. Gen Z represents approximately 25% of the U.S. population. This is a generation that is regarded as the most entrepreneurial, conservative, diverse and educated generation to date. They love technology, comfort, and strong family values. And Generation Z have the potential to change the world for the better — to steer us toward a more purposeful, sustainable future. Generation Z people thrive on entrepreneurship and creativity, failing to understand their parents’ beliefs of holding on to one job from after schooling until pension. They’re entrepreneurial to the core, succeeding at doing their own thing. Their heads buzz with ideas, as modern technology enables them to create business opportunities like the generations of family members before them never could. They look to invest their time, money and resources in business plans, modules, programs and initiatives that their parents will never understand. Their aim is to invest in programs that make a difference. It is this foresight and seed planting that create the platform for a future generation. In years to come, the children and grandchildren born of Generation Z parents will, like their forefathers, take this world to another new dimension. I write books aimed at teens/young adults who represent Generation Z (GenZ), as they wrestle and attempt to come to terms with an often hostile and unforgiving world. These books offer them hope and guidance.